Alabama prioritized the defensive line in the 2019 class and it paid off with the Tide signing seven recruits. The Tide signees are ranked 4-Star or higher by most recruiting sites. Antonio Alfano, Ishmael Sopsher, DJ Dale, Justin Eboigbe, Braylen Ingraham, Byron Young and Kevin Harris make up the Tide’s 2019 defensive line class. 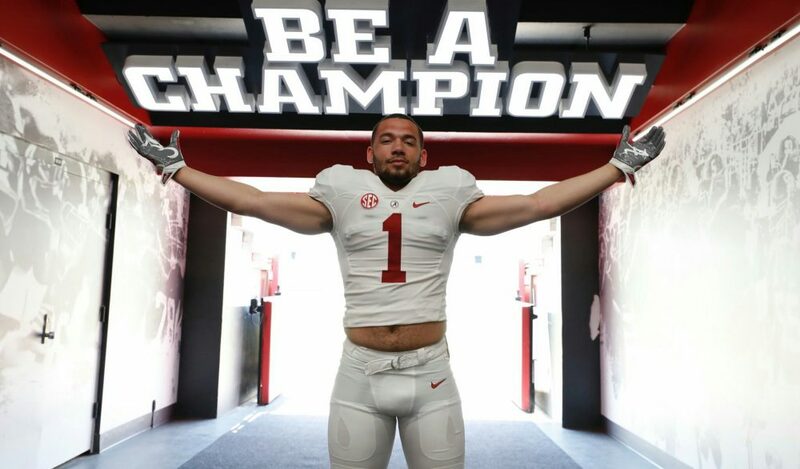 Alabama lost defensive tackles, Isaiah Buggs and Quinnen Williams, on last season and this class could help fill in the holes those guys left and future holes Alabama departures will leave. Alfano leads this loaded class. Alfano is a 5-Star recruit out of Colonia, New Jersey,. He stands at 6-4 and weighs 284 pounds. His dominant senior season caught the eyes of many. He looked like a man among boys most times and his size makes him a threat to play early and often next season. Sopsher was ranked as a 5-star recruit for most of his recruitment, but some lowered his ranking to a 4-Star. At 6-3 and 334 pounds, Sopsher is a monster in the trenches. There is no way one man is going to stop him and his first step is impressive for a guy his size. Eboigbe is a punishing tackler, who loves to make disruptive plays in the backfield. He is 6-4 and weighs 263 pounds. He comes off the edge with a good jump and knows how to use his arms to swim move past blockers. Ingraham fits right in with this group with his tenacious rushing style. He rarely gives up on a play. Dale is arguably the most athletic member of this group. He is very quick on his feet and knows how to break down and make tackles, which makes it hard for runners to juke him. He also has experience at running the football and has shown that he can play a little wildcat quarterback. The Tide will most likely not use that talent, but it is not out of the question for him to block from the back field on a goal line package. Harris has the most impressive jump off the line in this class. It is almost like he is popping off the ground. He will most likely line up as an outside linebacker and play a similar role to Anfernee Jennings in the future. He could stand to add on some muscle. It is impossible to overlook Young when he is on the field. His size makes him stand out and his ability to plug up holes is pretty impressive. He knows how to make sure his presence is felt on the field. All of these guys will have to adjust to the college game. They have shown spurts of what they can do and is now up to Nick Saban and the process to developed these recruits.